In the Amazing Race of its day, on November 14, 1889, stunt journalist Nellie Bly set out on a trip around the world in an attempt to break Phileas Fogg's fictional eighty-day record. In the first place you are a woman and would need a protector, and even if it were possible for you to travel alone you would need to carry so much baggage that it would detain you in making rapid changes. Besides you speak nothing but English, so there is no use talking about it; no one but a man can do this. Well, a year later the paper had obviously had a change of heart. The editors summoned Bly to their offices and told her that not only were they sending her to break Fogg's record, but that she'd be leaving in just two days on the steamship Augusta Victoria. As soon as word spread the Bly was leaving on her round-the-world journey, Cosmopolitan magazine decided to sponsor a trip of their own, recruiting journalist Elizabeth Bisland to race against Bly (and Fogg's record) by setting out the same day in the opposite direction. Bly's trip took her to her first to England, then to France, where she met Around the World in Eighty Days author Jules Verne. Bisland, meanwhile, started her trip by train heading west across America. The two women never saw each other and, in fact, Bly didn't even know there was anyone racing against her until she received word while in Hong Kong. 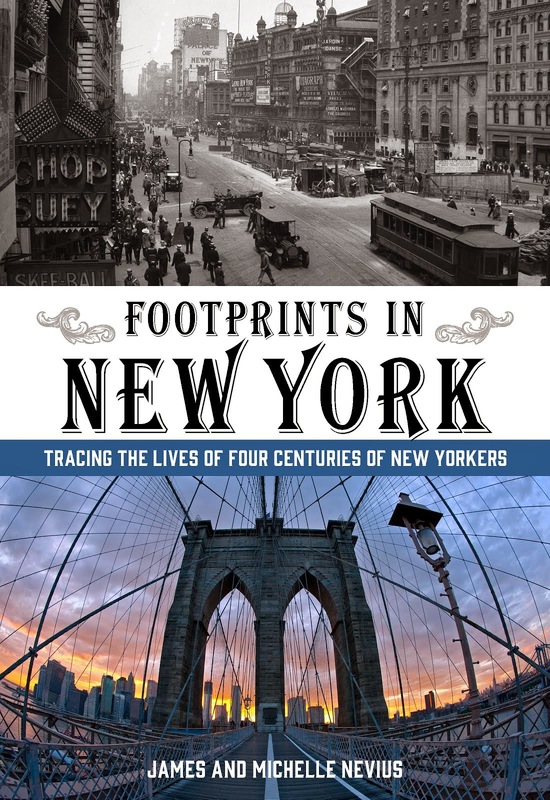 Determined to beat Bisland, the World hired a private train for Bly and when she reached California, it whisked her across the continent to New York. In the end, Bly beat both Bisland and Fogg by completing her journey in 72 days (though that record would soon be beaten, as well). The World, hoping to cash in on Nellie-mania, not only published Bly's dispatches -- which she sent via telegram from across the globe -- but also a "Round the World With Nellie Bly" game, where players vied to recreate Bly's race. 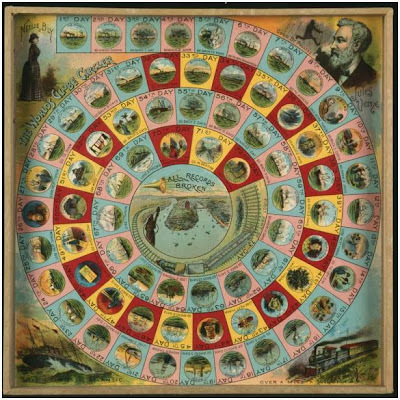 The game soon became a hit and was published in full-color by McLoughlin Bros; a copy now resides in the New-York Historical Society, where reproductions of the game can be purchased, as well (at least, last time we were there). 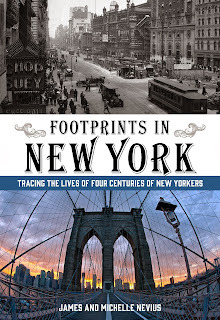 Both Nellie Bly's account and Elizabeth Bisland's memoir are online at the University of Pennsylvania and both are worth checking out.